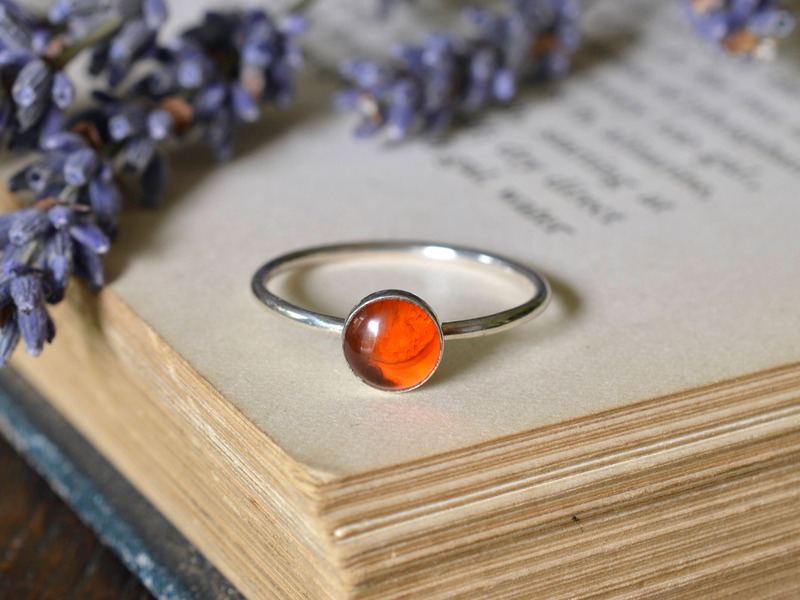 Amber ring on a sterling silver band and setting. 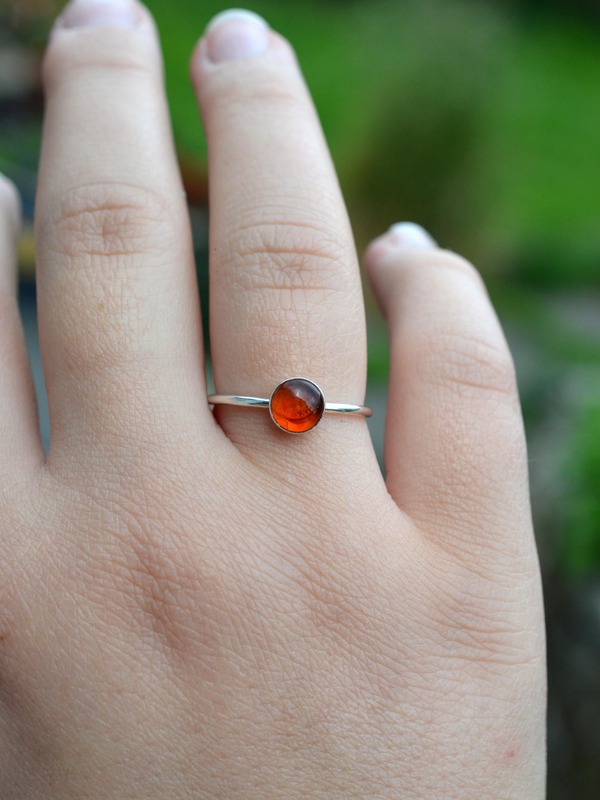 The amber measures 6mm around and is on a 1.3mm wide band. Also available in a thick band, 2.5mm by 1.7mm. The stone you receive will be similar to this as all stones are natural and have differences in colours and inclusions. If you have a preference I will try to pick one to your liking! 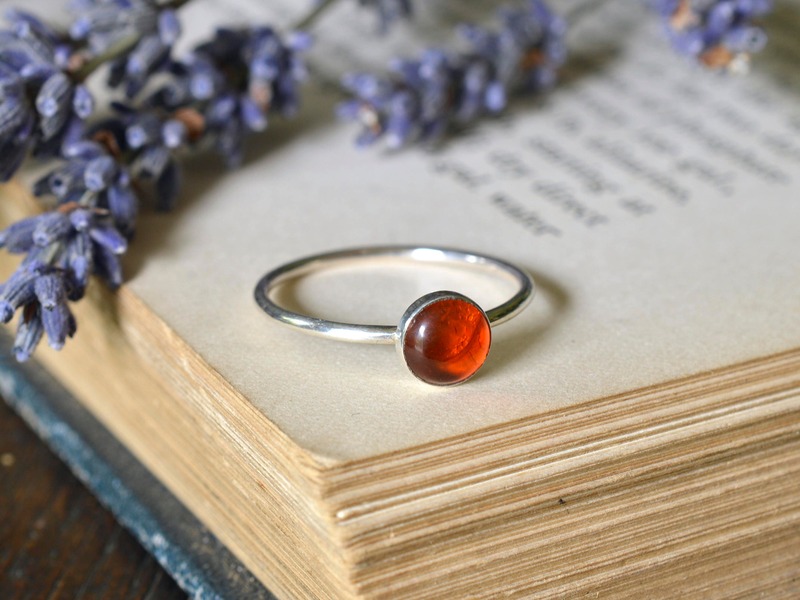 Amber is popular as it has marvelous metaphysical properties for psychic protection. It is a powerful healer that gives the person who wears it a lovely sense of health and healing. 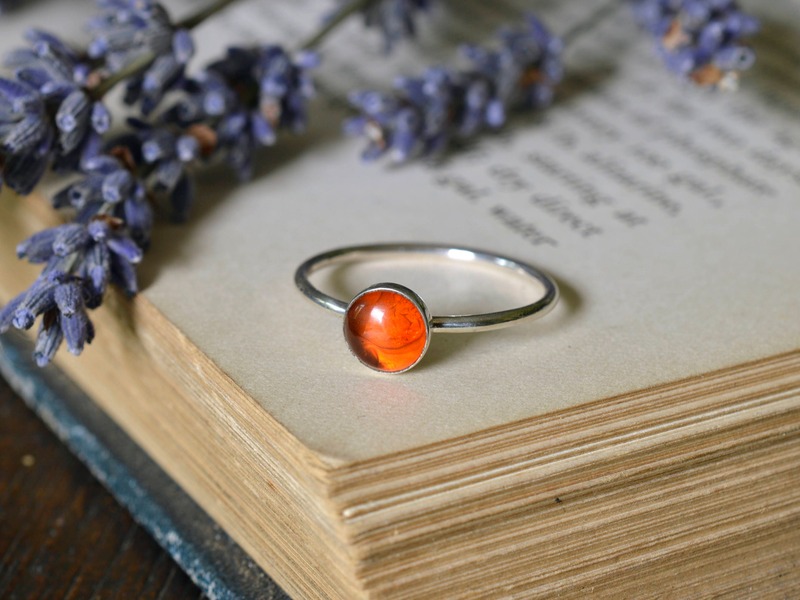 Amber helps to balance the emotions, clear the mind and release negative energy. It aids manifestation, eases stress by clearing phobias and fears, and it is a lovely warm stone to wear. To check your ring size using the internal diameter of any existing rings, you can see the chart on this website: http://www.ringsizes.co/. Be careful when measuring, as a mismeasurement of just 1 millimeter can make your size incorrect by 2 and a half UK sizes! Beautiful ring. I even asked for a certain clarity of stone and was impressed by what was chosen. Great ring, fits true to size. Just a wonderful piece. A fantastic little piece of magic. 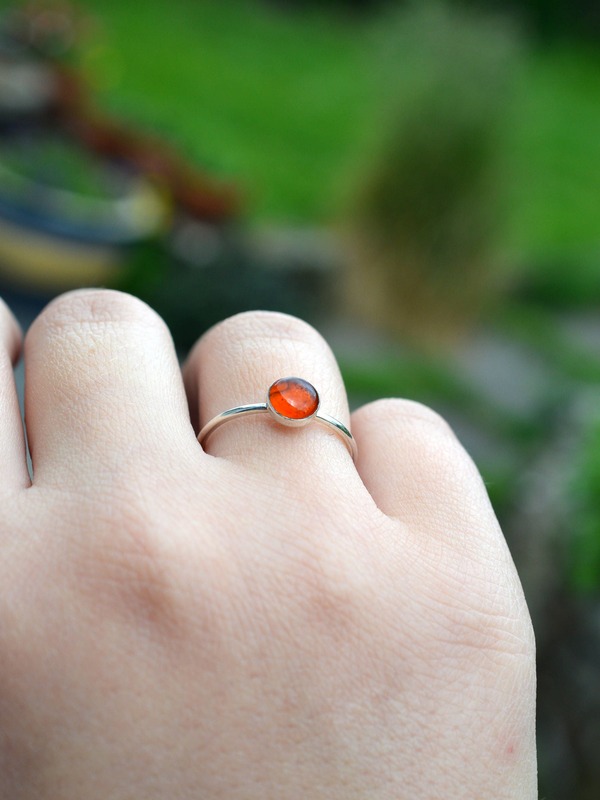 She selected the colour of the amber that I preferred and it is just as beautiful as I hoped. I love my ring!! My ring came in a timely manner with a personalized letter from the maker saying they hoped I loved my purchase. I did!! Will be buying from TheIvyBeeHandmade again! Beautiful item. Kind, lovely and helpful seller. Would definitely buy again.